All systemutveckling bygger på ett fåtal enkla regler. 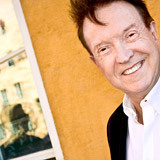 Och Ivar Jacobson vet vilka de är. Det står i korten. Social for social’s sake won’t cut it; here’s how to do it right. 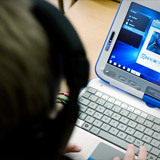 It-minister Anna-Karin Hatt har kommit överens med Sveriges Kommuner och Landsting om att främja digitaliseringen av skolan. As the technology becomes more important and the software is how customers experience the brand, IT will be directly embedded in business units like marketing, product development, and customer service. The Swedish Data Inspection Board has for a second time disallowed an agreement that a local municipality wants to sign with Google regarding the use of its hosted Apps package. Kommunernas it-avdelningar kommer snart att försvinna, tror Roger Nilsson, it-chef i Ystads kommun. Most social network founders want to make money. Ijad Madisch, the scientist-CEO behind ResearchGate, has a higher goal: He wants to win a Nobel Prize for the network. Five years after its founding, Madisch’s plan doesn’t seem so far-fetched. ResearchGate, which has been described as “LinkedIn for scientists,” has 2.9 million users — about half of the international scientific community. Madisch has built a list of success stories in which scientists used ResearchGate to speed up their work. And as of now, he’s got a formidable supporter you may have heard of: Bill Gates. On Monday, ResearchGate announced its third round of funding, $35 million, led by Bill Gates and Tenaya Capital. A scientist himself, Madisch founded 2008 with the intent of creating a social network he would want to use . “I had a research problem I couldn’t solve on my own, so I started looking for other scientists who could help me out,” he said. “I discovered that it’s impossible using the current structure of the internet to find these people easily. “I realized science was broken,” he added. Madisch is referring to the scientific practice of only publishing successful studies in research journals. That means negative data, failed data and raw data often never get shared. On ResearchGate, however, all data is considered useful. The network encourages scientists to submit even their failed experiments for peer review. That helps keep other scientists from attempting experiments that don’t work, but can also show that the original scientist was closer to the truth than he thought when he discarded the experiment. One of ResearchGate’s many documented examples: Rick Arneil Aracon, a graduate student in the Philippines, thought he had developed a formula for creating energy out of waste oil. His professor told him the formula didn’t work, so Aracon posted it on his ResearchGate account as failed data. Little did he know it would be seen by Rafael Luque, an organic chemist in Spain, who saw hidden potential in the formula, which turned out to be very close to correct. Together, the unlikely pair developed and documented a new technique for creating biofuel. ResearchGate in action on Madisch’s profile page. Photo courtesy of ResearchGate. For all its breakthroughs, though, ResearchGate has yet to make any revenue. But with Gates backing the company, running out of money shouldn’t be a problem for a long time. Madisch had plans to monetize a marketplace for scientific jobs and lab equipment, but now he can put that idea aside in favor of priming the network to seek that Nobel Prize. “I always wanted to change something in science, something big. I knew if you want to achieve that, you need great people to help you,” Madisch said. Lead photo of Bill Gates by OnInnovation. 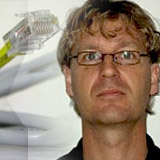 Photo of Ijad Madisch via ResearchGate.